Bolt: 70mm x 11mm Diam. 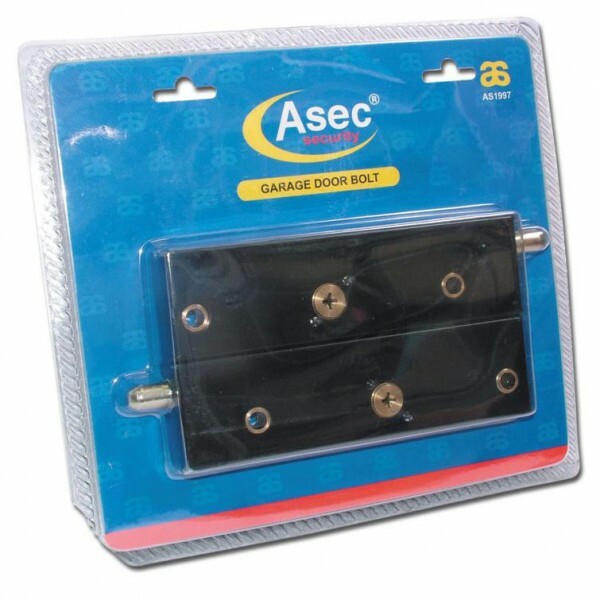 The Asec Garage Door Lock is a pair of bolts that can be operated from the inside or the outside of the garage. 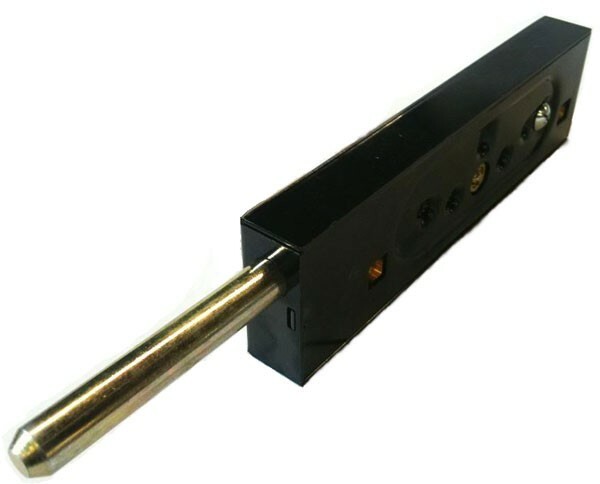 It is ideal for integral garages and can be fitted to the garage door either vertically or horizontally. Both locks are keyed alike with a four sided key offering over a million key differs. Three keys are provided. 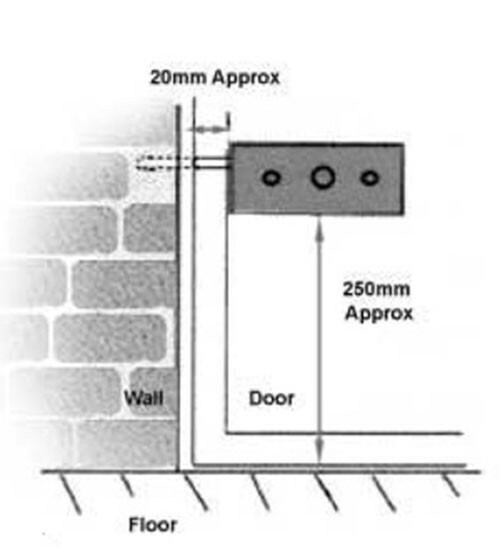 The bolts extend 70mm and can installed to extend into the garage door frame or the supplied ground sleeves. The lock is easy to fit - just drill three holes through the garage door per bolt. The Asec garage door lock is supplied complete with coach bolts so the fixings cannot be tampered with from the outside and the escutcheons add the finishing touch to your installation. This rugged pair of security garage door bolts can be used on all types of Up & Over or Sectional garage doors of metal or wood construction. The bolts will suit doors of up to 38mm thick. If you have more than one garage to secure consider the AS1999 Keyed Alike model. All AS1999 locks are supplied on the same key number for convenient security on multiple garages. 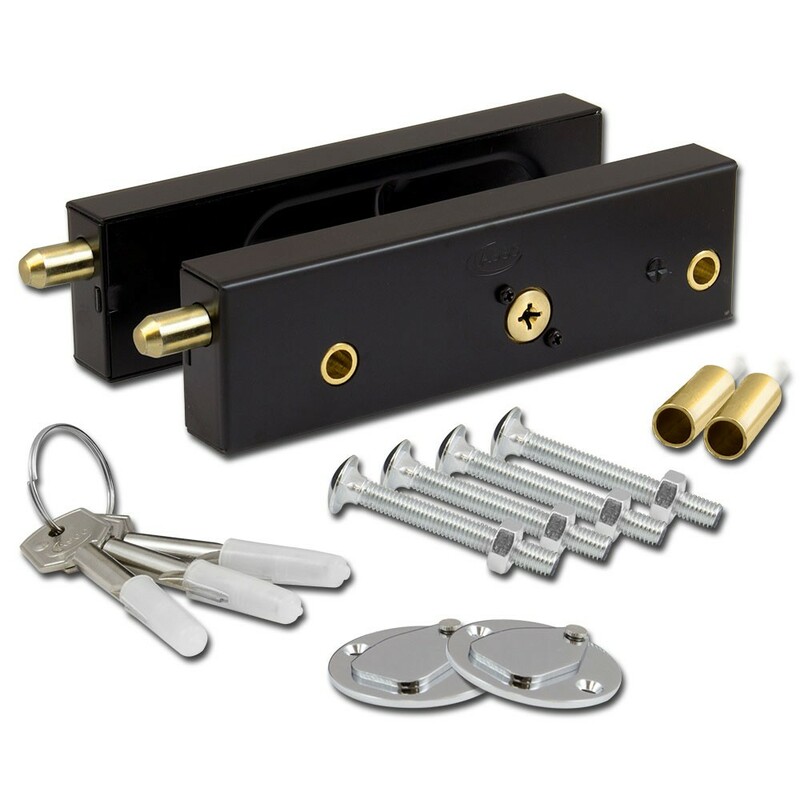 Please note, the fitting instructions included on the packaging of this product state that 4 x Rivets are included with this lock in order to attach the escutcheons. No rivets are infact supplied with this item.